A post describing the beauty and structure of a tipi on the Princeton campus has moved here. Living on a busy street may not be everyone's idea of happiness, but for someone who hates to see things go to waste, it offers a chance to contribute to the recycling of scrap metal. In my neighborhood, I play the role gravity plays in a watershed, transporting discarded metal objects from side streets out to my curb along the main artery, where they are more likely to be swept away by scrap metal guys who periodically drive by. When China's economy was cooking, and scrap metal prices were high from overseas demand, this metal would have disappeared within hours. Recently, it took five days--an unheard-of lag time on Harrison Street. Maybe we have a new indicator of economic conditions overseas. No need to listen to business reports. China's economic downturn can be read right here on a Princeton curb. On the other hand, even though it takes more than 100 pounds of steel to make a dollar at a junkyard, this rusty file cabinet was gone in a day. Maybe someone really needed a file cabinet, rusty or not. I have one of the scrap guys' number, and could call him up, but that would likely cause him to go out of his way to come by, burning more gas. There's satisfaction in feeding the serendipity of others by giving these otherwise landfill-bound hunks of metal a chance to circle back into usefulness. You can tell a lot about a building by taking a walk around back and looking at the dumpsters. What's the ratio of trash dumpsters to those for recycling? At this apartment building in the neighborhood, Nassau Arms, the ratio is 1 to 2, meaning there's an emphasis on recycling. At the Princeton High School, the ratio is 3 trash dumpsters to only 1 for recycling. This a pretty poor ratio, since it suggests that three times as much gets landfilled as gets recycled. The disparity in recycling performance may reflect the different uses of the buildings, residential vs. school, or the contrast in people's behavior in private and public places. In general, people seem to be much better about recycling at home than in public, where there seems to be little sense of personal responsibility to keep trash and recyclables separate. But the low recycling rate at the high school may also reflect a lack of ongoing promotion of recycling. In a public space, all the steps in the recycling chain must function well. All participants--students, staff and custodians--need to do their part. With all those "moving parts", this living system of recycling can't just be instituted and left to run unattended. It takes ongoing monitoring and intervention to fix breakdowns, and that sort of ethic and sense of responsibility must come from the leadership. This was going to be my Halloween post, showing the very scary gravestones where members of the Compost family, Current and Finished, are slowly decomposing in a friend's backyard. People will tell you that Current was something of a mixed bag--often fruity with a hint of banana peel, she was immature and would vegetate for long periods if she didn't get her way. Finished is remembered fondly for his marvelous sense of humus, his willingness to share his riches, and an uncanny ability to nurture growth wherever he went. Nature, as we well know, is full of rot, a rot that is tolerated in forests, fields, and even in yards that are not blown clean of organic debris, but when conspicuous decomposition such as this is allowed to occur close to human settlements, we know full well what comes next. Flowers my friends. Lots of them. And healthy trees. Insects, too, hidden under the leaves, and that can mean only one thing: food for birds. We should be very, very afraid. Citizens All, Vote This November 3rd!! This is important, but its kind of a secret. Whisper this to your friends: There's a stealth election coming up on Nov. 3, and though no governor, senator or president is on the ballet, there's enough on the line to make it worth going to the voting booth on November 3. Princetonians assume that the only politician representing them that poo poos climate change is Governor Christie. Not so. In addition to the governor, our current representatives in the NJ state general assembly, think that climate change isn't a big deal and can wait. Unfortunately, the sort of stubborn resistance to overwhelming evidence that leads to this profoundly irresponsible position is broadly enforced within the Republican Party, and that's what Princeton currently is represented by in the 16th legislative district. That leaves the Democratic candidates, Andrew Zwicker and Maureen Vella, if one wants representatives who understand the serious threat human-caused climate change poses. According to a NJ.com article, no Democrat has been elected in the 16th district (I only know we're in the 16th legislative district because my 15 year old daughter is working for one of the campaigns--guess which) since 1976. During redistricting in 2011, Democrats added Princeton to the district to try to swing it to the Democrats, without success thus far. The colored portions of the map show the seahorse shape of the district, with Princeton the green at the bottom. The expected low voter turnout makes each vote all the more important. Though I tried without success to find any statements by our current representatives (there are two representing us in the state legislature) on the danger posed by climate change, you can check out a video of the debate between the four candidates here. Three school board members will also be elected, chosen from four candidates. Recently, while driving down Route 1 towards Trenton, I saw a bicyclist riding the wrong way on the side of the road. It was in one of the most dangerous places along Route 1, where cars are changing lanes to enter or exit the freeways. According to society's rules, he was in the wrong place for a bicyclist, riding the wrong direction. His judgement and even his sanity might be questioned, and yet if we were to observe the scene from high above the earth, from where our collective transformation of the planet can be witnessed as a whole, the errant bicyclist would be the only one who appears to be sane. This is one of the many ways that climate change turns the world on its head. This post takes us deep below life's superficial gleam, to a place few dare to go, that world lurking just beneath the shine and luster of the kitchen sink. Next to the trash bin lives a beast that gobbles food waste at the push of a button, or at least used to. Its role in the town's digestive tract is mandibular, grinding vegetable scraps into bits before sending them further down the pipe for their ultimate digestion at the River Road wastewater treatment plant. The garbage disposal has long seemed content with its role, resigned to its less than glamorous name and catch-as-catch-can diet. But about six months ago--hard to say just how long it's been--the disposal stopped working. There's a fuse on its bottomside, and also on the wall switch, and one or the other would be tripped every time I turned the disposal on. Something was making the grinding mechanism very hard to rotate. Thus began a protracted period of inaction, during which the sink would periodically back up, requiring that I get down on hands and knees and manually crank the disposal from below. We compost foodwaste, so the annoyance was minor, but still. Internet research suggested that a few robust crankings would dislodge the obstruction. But they didn't. I had resigned myself to either a life of weekly disposal crankings or a trip to the hardware store to buy a replacement. The disposal had narrowly escaped replacement before, and now its continued existence seemed completely dependent on my powers of procrastination. And then, just a few days ago, the cranking suddenly became easier. I re-engaged the fuses, flicked the switch, and voila, that fine whir of a functional garbage disposal greeted my ears. Maybe it was a change in the weather, a la Mary Poppins. Or maybe some appliances really do heal themselves in the fullness of time. Life really shouldn't reward procrastination, but at least in this one case, it did. It's not easy to get people to recycle in public places. People are distracted, in a hurry, and tend to drop an empty bottle, banana peel or tissue in the first receptacle they encounter. That's why design is crucial for successful recycling on the streets. Oftentimes, the cost of a receptacle is inversely related to its functionality. At the recent Jazz Feast on Palmer Square, this cheapo pairing of a trash container (note the big opening) and a recycling bin with small, round hole for recyclables worked great. They were close to one another (close enough for jazz! ), which is critical, and their openings provided a clear visual contrast that even the most distracted jazz lover will notice. A peek in the recycling bin showed it contained only recyclables, no trash. On the other hand, these new and expensive-looking containers along Nassau Street have trash and recyclables openings that provide no visual cue other than small print on the lid. 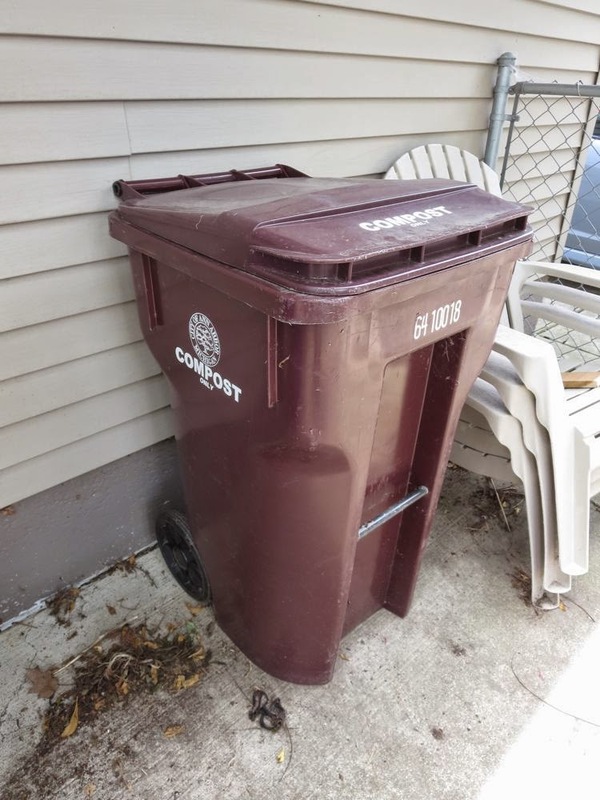 The lids help keep the rain out, which is good, but with nothing but small print to distinguish one from the other, the recycling side will likely be contaminated with trash, and the goal of recycling will not be achieved. This one at least has contrasting color, but that probably won't be enough to get people to pay attention. So Princeton now has recycling receptacles on Nassau Street, and they look great, but don't expect them to increase recycling. Though it's not easy to get people to recycle in public places, it is easy to find advice online about what sorts of containers work best. I have a whole website devoted to critiques of various designs at RecyclingContainers.blogspot.com, including Ten Tips for Improving Recycling at Your Workplace. Edward Kennedy's words are apt for recycling in public places: "The work goes on, the cause endures, the hope still lives, and the dream shall never die." Maybe that jazz sensibility, which involves taking experience and upcycling it into the form of music, gave the Jazz Feast folks the necessary insight. Though there have been a few periods of heat and humidity, this has been a remarkably comfortable summer over all. While the western U.S. burns, fries and dries to a crisp, its inspiring beauty, grandeur and livability imperiled by the deepening expressions of climate change, New Jersey seems a sheltered place. The suffering elsewhere and the mild weather offer motivation and means to maintain comfort with minimal dipping into energy and resources. On a fairly typical day this August, our house was comfortable all day while consuming less than 3 kilowatts of electricity, a crazy low amount. Credit for the comfort goes to nature rather than the air conditioner--a machine that would consume 3 kilowatts in an hour if it were running. The whole-house energy meter in the photo shows just 210 watts of consumption right now. The number would be lower if the refrigerator didn't happen to be on. If the A/C was laboring away, the consumption would leap to 3500 watts. In that vast difference in energy consumption lies the reasoning behind seeking some other way of keeping the house cool. Nature has been a particularly great collaborator in comfort this summer because overnight temperatures have often dropped into the 70s and even 60s. Run the house fan for a half hour in late evening or early morning, when the outdoor temperature is lowest, and the house is quickly filled with cool air that, thanks to shade and insulation, can last us through much of the day. The A/C can then be run sporadically to cut the humidity, and need not labor all day long to get the temperature down. It also helps to acclimate one's inner nature by expanding one's comfort zone, so machines need not work hard to keep the indoor temperature within a narrow range. Though our house at least has a whole-house energy meter, it like most houses is remarkably unintelligent compared to much less pricey possessions, like a car or a cell phone. That lack of intelligence plays out as wasted energy that becomes clear during an evening walk through the neighborhood. The outdoor air may be cool, humidity relatively low, yet many homes will have their air conditioners grinding away, trying to cool indoor air when abundant fresh, cooled air lies just outside. A modest dream, born of cool evening air, would be for every home and apartment to have temperature and humidity sensors, inside and out, that compare indoor and outdoor air and can tell you when to turn off the A/C and bring the outdoor air in. Cell phones bring us the world. The least a house could do is take note of the air just outside the front door. At some point, we noticed we weren't putting a trash can out for collection. Trash day would come and go, and our modest-sized trashcan remained in its spot down the driveway. Weeks would pass before it filled. (The photo is symbolic but not inaccurate if you read the whole post.) What had happened? Had we become super eco-types, transforming our lifestyles to show the world that zero waste really was possible on the domestic front? Was it time to make a documentary about our eco-adventures and shop it around to environmental film festivals? I could think of no conscious change in our lifestyle or thinking, no bold steps towards frugality. The kids are older, and that cornucopia-in-the-hand, known as a cell phone, has largely eliminated cravings for other material objects. We compost food scraps in the backyard, in an animal-proof container. The occasional greasy pizza box is saved to start fires in the wood stove. Our backyard chickens and garden reduce packaging from store-bought food. Pleasure, not a conscious attempt at frugality, is the driver here. The convenience of cell phones, the radiant heat of a wood stove, the charm and generosity of our chickens and duck, the taste of home-grown tomatoes, and sending tin cans and bottles off to a new life rather than a grave--all of these bring positive energy to our lives, and also happen to reduce trash to near zero. If anything, our impact on Princeton's trash production numbers has been negative. If I'm walking the dog on trash day, and see someone has put a perfectly good stroller out on the curb, or one of those foldable metal bedframes, I tend to bring them home, stow them until after trash day, then put them out next to our busy street to be scavenged, whether for reuse or for scrap metal. Sometimes within the hour, they're gone. One recent walk around the block with the dog yielded three peaches (given to me by an elderly Italian lady whose yard is planted with fruit trees) and a hulking, backyard grill whose 100 pounds of useful metal came within a minute of being hauled off to the landfill. None of this is fervent advocacy. It's simply a desire to see things used rather than wasted, and that "wanting", embedded in one's heart like a seed, can quietly and unobtrusively transform one's lifestyle into a zero waste summer. Since most people take cues from their neighbors on how to maintain their yards, the most visible approach ends up being imitated. When it comes to dealing with leaves in the yard, the most visible and therefore the most widely imitated approach is the dumping of leaves in the street. In this way, the least attractive and least sensible approach becomes the most common. Some homeowners pile their leaves in a back corner of the property, where they can decompose and feed the roots of trees. This approach saves the town money, returns nutrients to the yard, and keeps the street clean, but it doesn't get imitated because neighbors can't see it. How, then, do we make the more sustainable, sensible approach more visible? Cleaning out some flower beds this spring, I decided to set an example and put the leaves in a leaf corral in the front yard, tucked behind some shrubs. It's neater than piling the leaves in the street, and even oak leaves quickly settle down in the green wire corral, making room for more cuttings through the summer. The green wire is essentially invisible. Our aesthetics when it comes to yards seems completely arbitrary and malleable. If windmills and silos are seen as picturesque features of a rural landscape, then a leaf corral could come to be seen similarly in a front yard, a symbol of commitment to clean streets and a lack of dependency on expensive town services. If the homeowner prefers, it can be decorated/obscured with picket fencing or shrubs. The main thing is to create a visible alternative approach to leaving piles of leaves and yardwaste in the street, where their visual and environmental effect turns negative. While others are lounging on the beach or off seeking fun and adventure in farflung lands, I'm getting my low carbon kicks by watching things magically disappear from the curb. It's a bit like fishing, but instead of trying to catch something, the aim is to see how much stuff you can successfully let go of. Take these plastic chairs and stool, for instance. I forget how I came into possession of them--must have intervened at some point, rescuing them from the curb on trash day, but there's something that happens to the plastic after it's been exposed too long to the elements. The shiny surface turns dull and has a funny feel that's not welcoming. So I finally put them out on recycling day, as an experiment to see if the hauler would take them. We're only supposed to recycle plastics #1 and 2, but the website of the hauler and the sorting facility say they will take pretty much any old plastic. Before I could successfully run my experiment, however, a guy pulled up and started loading the plastic furniture into his car. I could see his thought processes as he struggled to get the furniture in. The chair wouldn't fit in the front passenger seat, so he had to settle for the stool in front, and one of the green chairs in the backseat. Before getting in his car, he hesitated, turned and looked longingly at the other green chair still on the curb, took a few steps in that direction, then thought again and climbed in to drive away. How well I know that feeling! A perfectly good looking, serviceable chair, going to waste. Did our parents live through the deprivations of the Great Depression and WWII just so we could stand silently by while people buy dubious merchandise and toss it in the trash at the first sign of defect? Such conspicuous wastage rubs against the very fiber of our being. By the way, that's a pretty nice looking car the guy has. What kind is it? A Mercedes! Sportscar! That's the first question you've got to ask the dealer when you buy a car like that. Sure, it looks great, drives great, but how many used plastic lawn chairs will it hold? Isn't that Princeton for you? Picking up used plastic chairs, already spurned by the Priusey, Ford Rangery likes of me, in a Mercedes sportscar! More power to him, I say. It just goes to show that the temptations of thrift are universal, crossing all class boundaries. The recycling truck swept by an hour or so later. I got distracted, so can't say for sure if they or another scavenger took the other green plastic chair. Maybe the guy in the Mercedes made a return trip! In any case, we can safely conclude that, on one busy street in Princeton, putting large plastic items out on recycling day can delay their trip to the landfill, and possibly send them on a whole new journey to a second life. How do we find inner peace, when the machines we love are also unraveling the climate we need? The great divide is most evident in the Daily Show, where a devastating critique of climate denial will be juxtaposed with advertisements tempting us to buy gleaming, carbon-spewing automobiles in our pursuit of fun, power, status, and romance. A local version of this arose via the ever inventive programming of the Princeton Public Library, which hosted "Truck Day", when kids could gather to hear truck-themed stories inside, then go outside behind the library to see real trucks that serve the town. For me, the event evoked strong associations directly opposed one to the other. First there's the memory of having spent copious amounts of quality childhood time playing with toy trucks on rugs, in sandboxes, and on the kindergarten playground. Sparring with those pleasant memories, and the pleasure of meeting the trucks and the people who drive them on Truck Day, is the adult understanding that, though trucks are really useful, and kinda cool in their lumbering way, we know that their use comes at a collective price. One way to deal with this is to say, yes, machines serve us well, but until they're powered by something less climate-altering than gasoline, we should find ways to use them as little as possible. In other words, the more we can wean municipal services of fossil fuel use, the better. This bucket truck for tree removal will be used more and more in coming years, as Emerald Ash Borer sweeps through town. But one truck which clearly could be used less was just around the corner. It also happens to be the most charismatic, and drew the crowd. A wheel loader nicknamed The Claw, it spends a lot of time cruising the streets, picking up all the brush, leaves and yardwaste people toss out for collection. Residents are hooked on the convenience of the service, but it creates a Sisyphean reality for the work crews, who clean a street only to see residents dumping fresh piles in their wake. This collective dumping on public spaces is disturbingly reminiscent of climate change, which too involves a collective dumping on shared spaces. 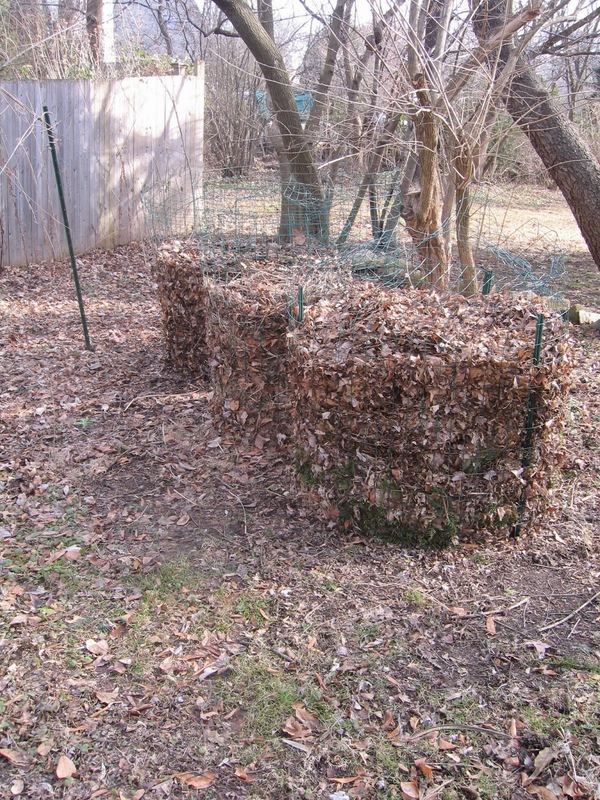 People could easily compost most of their leaves and yardwaste in their own yards. Even small yards have room for leaf corrals. Less dumping in the streets means less dumping of CO2 into the air by our wonderful but star-crossed machines. Sounds like a win-win. The woman who drives The Claw helped kids climb up and sit in the cab. Those who could overcome their fear of climbing were rewarded with a view from twelve feet up. That's how I see these sorts of machines fitting into modern reality. Admire them, use them when needed, but minimize their use to whatever extent possible. That way, the machines will last longer, and our habitable planet will last longer, too. Give the kids something to climb on, and a livable planet to grow into. An updated version of The Little Engine That Could would be a machine that didn't need to be used very much, because people were finding more and more ways to be less dependent on machines, and because it was used less, it could be run on renewable fuel which is less plentiful than the carbon energy we dig out of the ground. That's the way to bridge the divide, and lead us towards inner peace in a world of troubling but lovable machines. Each year, Blue Curtain and the Princeton Recreation Dept. present two concerts of music, usually from Africa or Latin America. The performers tend to be first rate, and the setting at Pettoranello Gardens is highly conducive. For more info, Blue Curtain has a facebook page, and there's a brief writeup on the two concerts here. Two bands play tonight, with the first one, some Brazilian choro, starting at 7pm. The "blue" curtain concept becomes more clear in these photos. Sounds by this description that there's been some progress in making E-bikes a good option for transportation. Earlier this week, I watched E-Bikes gliding up the gentle incline of Central Park West in NY, with what appeared to be very satisfied riders. An E-Bike makes any ride downhill, even if you're not starting from the high ground of the Princeton Senior Resource Center, which is hosting the talk. Check the link for more info about the speaker. Though the crowds head to the fields off Western Way to witness the annual fireworks, the Harrison Street bridge over Carnegie Lake offers a doubling of the visual feast. The rockets' read glare is complemented perfectly by the rockets' red reflection. I'll speculate that, if Francis Scott Key watched the bombing of Fort McHenry from across the bay, then the water's reflection of bombs bursting in air was surely part of his inspiration. Our auditory experience may have been augmented, too, with the reflection of sound off the water providing a stereo effect. When all was extinguished, and a full moon illuminated the sulphurous legacy, we drifted home to the quiet enchantment of fireflies in the backyard. Ciclovia, Ciclovia, where have you been? We've missed you. Ever since meeting you for the first time last year, down on Quaker Road. You made us feel free. You made us feel like there's a future. A road not pumping more fossil carbon up into the atmosphere for a whole afternoon. And such a beautiful name. Ciclovia, the Greek goddess of the open road. Or maybe she's Columbian, since Wikipedia says she shows up in Bogota and other cities every Sunday. So venture on down, past Einstein's house on Mercer St, past the Princeton Battlefield, past the Friends School. Take your bike, your stroller, your unicycle, roller blades, whatever, for a spin on Quaker Road, which will be car-free from 1-4pm. Updike Farm's giant mulberry tree may have some mulberries left. Check out all the programming, which includes some opening remarks by the mayor, an hour of swing dancing (on bicycles? ), tours, and I think they've arranged for Nature to stop by with some fine weather. How does Alexander Hamilton do it? 260 years old, and his skin is smooth as a baby's bottom, or at least it is now, since Hamilton Ave. got resurfaced. And now I hear that Alex may be getting hitched up with a lady friend of considerable distinction on the ten dollar bill. And check out his jazzy sidewalks that dance around tree trunks. Cars and bikes will founder no more on our founding father's potholes, now that they've been shaved down and covered over with a silky layer of blacktop. Our car tires made a different sound while rolling over this dream surface, and at least one roadside resident has noted a marked improvement in sleep. During the anguished discussions over whether to include bikelanes as part of the renovation (thanks for the democracy, Alex! ), some questioned how many bicyclists would actually use the street. Once word gets around, even those who haven't been in the habit of biking will dig their bikes out of the back of the garage, pump up the tires and take a spin, just to experience true smoothness. And the detailing. Smooth grading around stormwater outlets makes a big difference for bicyclists hugging the curb. It looked like the job was contracted out. I was surprised to hear that public works crews sometimes do these resurfacings, and that doing the work in-house can cut the considerable cost in half. But it depends on whether the necessary skill sets are present among the staff, and whether the town's road equipment is in good repair. The extra expense, it's been asserted, might be worth it if a contractor who specializes in road resurfacing does a better job that lasts longer. I saw town staff out there in the early stages, repairing the stormwater outlets. Maybe it was a mix of in-house and contracted work. In any case, congratulations to Alex on a facelift worthy of a Founding Father. A brief letter to the editor in the Town Topic's Mailbox section last week asks the question: Why can't Princetonians recycle all plastics? I went to the Princeton recycling website, which has lots of useful information, including a link to the county website--the county being the one that administers curbside recycling in a lot of towns around here--and sure enough, it says that we're supposed to recycle only plastics #1 and #2. That's odd, because the rollcarts used for recycling by businesses downtown, collected by Waste Management, say to recycle plastics #1-7, and if you check what's recyclable in other cities and towns elsewhere in the country and NJ, you'll find they're collecting most or all plastics. So what gives? I researched this in 2012, and wrote an OpEd and some blog posts detailing the results. One post describes the curious controversy that developed when I published my research in a Princeton Packet OpEd. Another describes a visit to the plant where our mixed recyclables are separated out. Others can be found either by going to the pop-out "labels" section on the right of the screen, or typing "recycling" into the search box. My research, and the reaction to it, taught me as much about people as it did about recycling. As with human-caused climate change, recycling is not inherently controversial or polarizing, but is made so when someone's ego or ideology gets caught up in what really should just be facts we can all look at and draw sensible conclusions from. Pride in what Princeton does environmentally should not get in the way of acknowledging that there are many ways in which curbside recycling could be improved. Begin with the round, uncovered green and yellow bins. If they're stored outside, as many people do, rain makes the paper heavier, and water collects in the cans and jars inbetween pickups, providing breeding habitat for mosquitoes. Heavy winds on recycling day send paper and plastics flying out into the street, where they get washed into our waterways, and the circular bins sometimes roll out into traffic lanes, creating a hazard. If we cared about clean streets and clean waterways, might we want to do what most recycling programs do and switch to rollcarts, which are larger, covered, and don't roll around? Rollcarts also have wheels, which is an advantage for the less muscle-bound residents trying to drag their rain-soaked recyclables to the curb. All of this is in the county's hands, since it administers the program. Like yardwaste collection, curbside recycling makes clear people's desire for simplicity. Many or most people put all types of plastic out for recycling, rather than scrutinize each plastic container for its identifying number. Similarly, the complex yardwaste collection schedule, with five zones and seasonal shifts in service, is widely ignored in favor of putting yardwaste out on the street whenever. Robocall reminders seem to be helping with the latter, but in general the best collection policy is the one that's the easiest for residents to follow. My research showed that most of the plastics end up getting recycled, even the ones we're told not to put in. There was a rumor recently that the official policy might change to reflect that. Where there are rumors, there is hope. Every now and then, a beep begins to emanate from the basement. The first time it happened, I couldn't find the source, because the beep sounded only once every fifteen minutes or so. If I ignore it for a few days or a week, it begins to represent in my mind entropy's gradual nibbling away at the edges of life's order. I finally tracked it back to the FIOS box. That's the box they install when you get Verizon FIOS service. A similar post two years ago explains how to stop the beeping. You may be tempted to go out and buy a new battery, since that's what the beeping and the red light is signaling you to do, but that's not really necessary. The battery is slowly getting more eccentric. Fixing the problem no longer involves just unplugging and plugging back in the red wire. Now I have to unplug, then pull the battery out, put it back in again, then plug the wire back in. There's no obvious sense to this, other than it works. Another previous post explains the box's contribution to your "vampire" energy use. Check out the free performance this Friday and Saturday of Circus in Wonderland at Pettoranello Gardens, 6-8pm, June 12 and 13. Just off 206 at Mountain Ave, Pettoranello Gardens is a lovely spot to see the Stone Soup Circus folks, who are now launching an initiative to bring the positive, transformative energy of circus to Trenton. "Solid waste" really should be called "solid opportunities", because there are ways to save money and reduce the town's negative environmental impact if we get better at keeping compostables and recyclables out of the trash, and leaves out of the street. Come to this Monday's council meeting, which starts at 7pm, to lend your support for giving these issues the attention they deserve. The Princeton Environmental Commission (PEC) will be on the Council agenda this Monday, May 11, to discuss waste issues with the Town, including many recommendations involving a single-use bag fee, leaf management, composting, government priorities and enforcement, etc. Today, May 1, property taxes are due in Princeton. In this post, we explore one way in which our tendency to work against nature rather than with it, and to value private space at the expense of public space, contributes to high property taxes and degraded streetscapes. There are many yards in Princeton that demonstrate the same point, but I'll use this one as an example because it's the most dramatic. Most front yards are very plain--a patch of lawn, a few shrubs pushed against the foundation. But here's one in which many flowers--in this season daffodils--have been planted for the public's benefit. Such a contribution to the public viewscape, and the minimization of unused lawn, is to be celebrated. And yet the whole floristic effect is contradicted by what's going on between sidewalk and street. Bare dirt, dead grass, a pile of brush and leaves. It's like a woman wearing a flowery print dress and worn-out workboots. This is a busy street, and the yard shows clear intention to present a grand display of flowers to the town. There's pride in yard and yet complete lack of pride in the public right of way. Here's what it looks like from the street. One can't see the flowers for the yardwaste. Again, there are hundreds of similar piles of yardwaste in town, suggesting that this is not one homeowner's approach but in fact a horticultural norm. The contradiction of well-tended yard and brushpile at the curb is so jarring, and yet so common, that I start to get that emperor-has-no-clothes feeling, as if people are able to filter out what is right in front of their eyes. One explanation for this is that while I may see leaves in their ecological context as nature's way of protecting and returning nutrients to the soil, many others may view it rather as a form of dust that must be swept away to create a clean appearance. It may be that the pile of yardwaste at the curb is actually a source of pride--proof that the homeowners work hard to take care of their yard. There is, then, repeated in hundreds of yards all over town, an unwritten agreement that the shared streetscape must be sacrificed in order to sustain order and neatness on the private property on the house side of the sidewalk. This directly contradicts the shared sentiment distilled into town ordinances. Ordinances require that trash cans and recycling buckets not linger at the curb for more than a day. State and local laws restrict how long leaves, etc. can linger at the curb. Streets must be swept by a street cleaner once a month. Common practice among residents largely defeats these attempts to regulate and value the appearance and function of the streetscape. One significant component of the scene is the storm inlet. Water can seep into cracks between storm drains and pavement, causing a progressive deterioration that undermines the pavement and leads ultimately to the collapse of the storm drain. Given how much time and money the town must devote to collecting leaves and brush dumped year-round in the street, often illegally, it's important to ask to what extent other maintenance needs are being deferred, and what the budgetary consequences are. The piling of leaves, etc. at the curb spawns imitation by neighbors looking for visual cues about how to behave. Pickups in most neighborhoods this time of year are monthly, and if a resident imitates neighbors rather than pay attention to the pickup schedule, the pile of leaves will kill the grass before pickup day arrives, further marring the streetscape. One alternative is to pile or corral leaves in a back corner of the property, perhaps screened by shrubs, and let them return to the soil. This approach is less taxing on town services and the eyes of passersby, and is ideal for storing leaves while keeping them from blowing around. Its only drawback is that neighbors can't see it, and therefore won't think it's the way leaves are supposed to be handled. In other words, good behavior is invisible, while illegal dumping in the streets is highly visible and gets copied by neighbors. Cleaning out some flower beds this spring, I decided to set an example and put the leaves in a leaf corral in the front yard, tucked behind some shrubs. It's neater than piling the leaves in the street, and even oak leaves quickly start to settle down in the green wire corral, making room for more cuttings through the summer. Already, the pile has dropped a foot, and the green wire is almost invisible. There's symbolism in this small corral of leaves. It says that, with just a little adaptation, we can play along with nature's endless cycling of nutrients from soil to tree and back again, rather than seeing nature as a nuisance or the enemy. It says our shared, public right of way is meant not to be a dumping ground, but rather a source of pride. And it says that public employees have more important things to do than chase after leaves that homeowners can easily use to their advantage on their own property.